Hotel Stanlunds Inn And Suites, Borrego Springs, United States of America - Lowest Rate Guaranteed! When you stay at Stanlunds Inn And Suites in Borrego Springs, you'll be in a state park, within a 15-minute drive of Anza Borrego Desert State Park and San Jacinto Mountains. 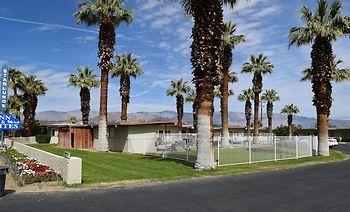 This motel is 1.5 mi (2.4 km) from RoadRunner Golf & Country Club and 1.8 mi (2.8 km) from Anza Borrego Tennis Center. We have been coming here for almost 30 years and will keep coming. It is old-fashioned but in a comfortable way, funky but cool.